Many of us know what a code blue is - either from television or unfortunately from real life circumstance. 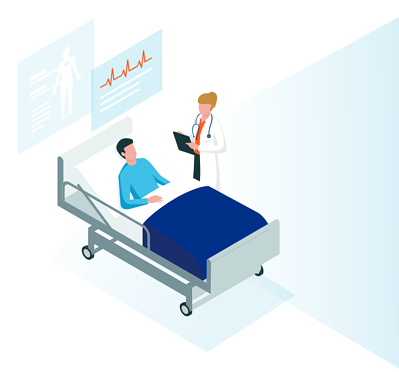 The chaotic picture is easy to paint - alarms are ringing as a frantic scene ensues, and doctors, nurses, and staff are all trying desperately to achieve one goal - to save a life. Forward thinking doctors at Hamilton Health Sciences wanted to do more to prevent code blue calls. 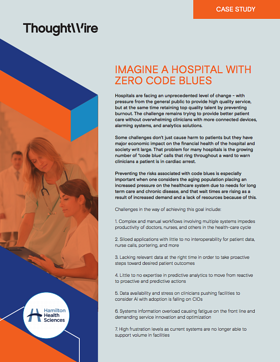 In this case study, find out how HHS was able to reduce code blues by 62% with the help of ThoughtWire’s EarlyWarning application - helping preempt and prevent code blue calls, BEFORE they happen.